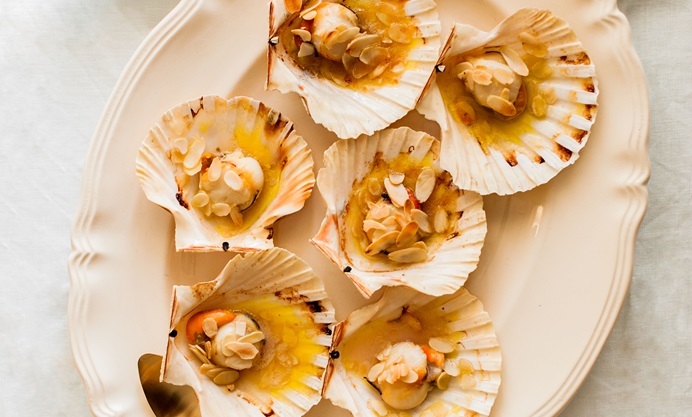 Valeria's baked scallop recipe is infused with orange and sprinkled with toasted almonds for an unforgettable seafood canapé or starter for an Italian seafood banquet, depending on the size of your appetite! 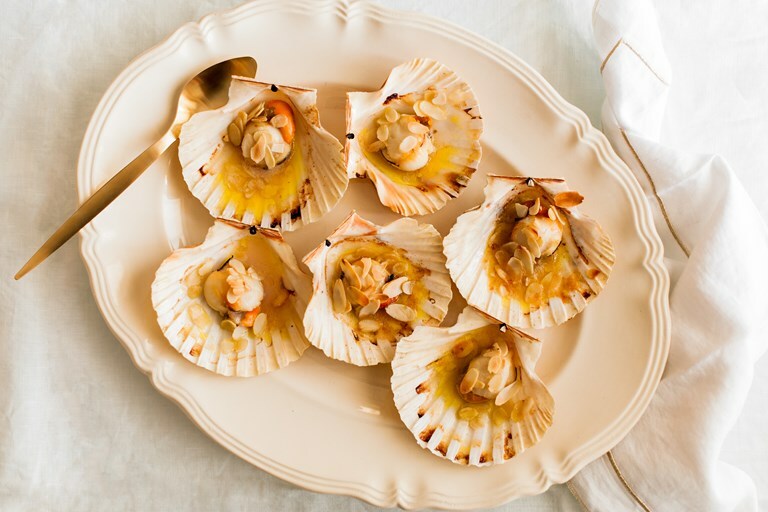 Scallops served in their shell have a sophisticated je ne sais quoi that shouts festiveness and cheer, but also effortless elegance. For this reason, they are often served at dinner parties and holiday occasions such as Christmas’ and New Year’s Eve, either as a starter or as part of a large seafood platter.